I met Thomas a number of times due to us living on the same road during his time at Villa, he is a very nice guy and was always an exciting player to watch with his famous left footed 'hammer' shots from distance. I was gutted when he left to join Stuttgart in order to (successfully) try and force himself into Germany's 2006 World cup team but it obviously worked out well for him there as he won a Bundesliga title and became club captain for a time. His later career was blighted by injuries as he bounced between England and the continent. Thomas eventually called time on his career in 2013 due to persistent injury problems. In 2007 he became the most high profile footballer to date to come out as gay. I have loaded England and Germany as my selected leagues (down to the Conference and 3 Liga respectively) and will begin unemployed. 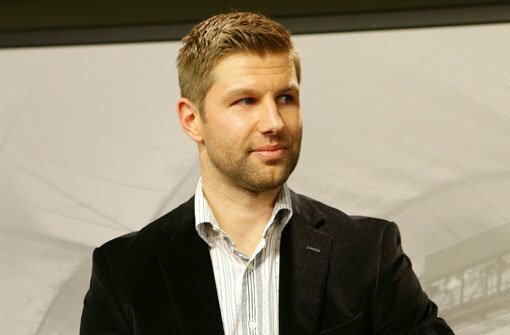 I have used the in-game editor to rename the real Thomas Hitzlsperger who is a coach in the database and set all his attributes to one so I'm unlikely to ever encounter him. I also used the in-game editor to give me the correct amount of international caps, global reputation, languages (German & English) and favoured personnel (Arne Friedrich & Philip Lahm) All my attributes are in line with that of the Hitzlsperger in the default database. Win the Euros & World Cup. As of day one there are three jobs available, Leicester City, Port Vale and Eastleigh. The defending champions seems an unrealistic first club for a untested manager so I'm going to give Leicester a miss, hounestly I can't say the other two appeal to me so I'm going to bide my time and hopefully a more exciting club will come along. I have no preference between starting in England or Germany so we shall see. You need to sort out the images in the OP as none of the Photobucket images are working pal. 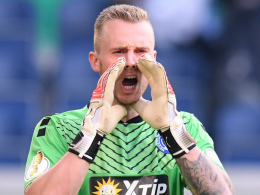 Duisburg are struggling in to adapt to life in 3.Liga following their relegation from the second tier last season, they find themselves closer to the dropzone than the promotion places as the halfway point of the season approaches, making the immediate return to 2.Bundesliga that the Zebra's would have been hoping for pre-season seem unlikely now. I have signed a two year contract with Duisburg, my task for the remainder of this season will to be relieve fears of relegation to Regionalliga and arrest the decline of this club who were a top flight side less than ten years ago. The second year of my contract will be about building a side capable of returning to the second tier. Interesting story. Good luck, @Rick87. I am now ten games into my tenure as Duisburg head coach and at the moment the jury is still out on me after three wins, four draws and three defeats. A lack of firepower seems to be our primary problem, I have three strikers on the books, however all three are target men who are squad players at best. I could really use some pace up front but have no money to spend or even available wage budget due to my predecessor overspending so I will have to endure with the resources available and work on re-training my wingers to become inside forwards to try and provide extra support up front. Since returning from the winter break we have really struggled with just one win from six, I am making small tweeks to the player instructions to try to arrest this decline. I've mostly been deploying 4-1-2-3 with the wingers instructed to cut in and support the lone forward. I've also tried 4-4-1 and plain old 4-4-2 but neither of them bore much fruit. I'm now toying with the idea of 4-2-3-1 with an attacking midfielder or shadow striker in behind the target man. I won't rule out 5-3-2 with wingbacks in the future especially in away games but I think I first need a forward with a bit of pace to play off of one of the big men for that to be a success. Whilst I neither think we will be relegated or get into contention for promotion this season, it is frustrating to be down in the wrong half of the table again after what was a reasonable start. Still, I am confident that once we find the right tactical blend we will quickly begin climbing up the league again and hopefully assert ourselves as one of the front runners for next season. The season came to a frustrating end as my team showed real improvement for a time after my last update, going on a five game unbeaten run, climbing the table in process. But all good things come to a end, in this case much more abruptly than I would have liked as we got mauled 5-1 by Regensburg and then only managed one win from our final six matches which undid all the hard work we had put in to get into the to half of the table as we slumped down to 13th. I intend to completely overhaul the squad over the summer and bring in players who fit my tactical preferences better than the current bunch. I've already identified nine players to let go or sell. Money will be a big problem when rebuilding though, unless the board pumps more cash in we are £15k over the wage budget which will make it next to impossible to offer any prospective signings a reasonable wage, meaning the loan market is probably my only option. Thankfully there is no limit on the amount of loans a club can have during a season in Germany so it is possible to furnish my squad using predominately season long loans. My brief will be the same as last season, finish within the top half, though I'm hopeful that with a full season in charge and the ability to field a team that fits my desired high tempo style, that we might emerge as dark horses in 3.Liga next season. Consistency must improve, after 21 games my record is 8 wins, 7 draws and 6 defeats. Not too bad but it could have been much better if we had seen out games more effectively. Enjoyed reading this so far mate! I don't think you should be judged on your first season, you just had to work with what you had, and you seemed to do pretty well. I'm looking forward to seeing how you overhaul the squad this summer and seeing your progress! Notes: Mark is a good shot-stopper who is a reasonable distributor of the ball, however he was let down last season by having a leaky defence in front of him. I am happy for him to remain my number one this term and hopefully with a more solid back-line protecting him we should be much harder to break down. Notes: Has only been afforded two appearances since my arrival midway through the season, that may change this season as I look to begin developing players more than I did last year. Daniel is a current international having represented Lebanon nine times. Notes: The first of my new faces this summer, Michael arrives on free transfer from Austrian Bundesliga side Mattersburg so this deal can be considered something of a coup given he his dropping down to a third division club. A solid left wing-back who is very capable of getting forward and supporting the attack as well as staying back to hold the line. Notes: On loan from Stuttgart, Manuel is a promising central defender with a natural sense of anticipation and positioning, two attributes that at times were sadly lacking last season. Notes: Somewhat average defender in truth, but at 26 it's not to late for him, standing at 6'4 he is always going to be useful at set-pieces. With a well managed training regime he could well evolve into a reasonable player for us which is why I have decided to keep him around. 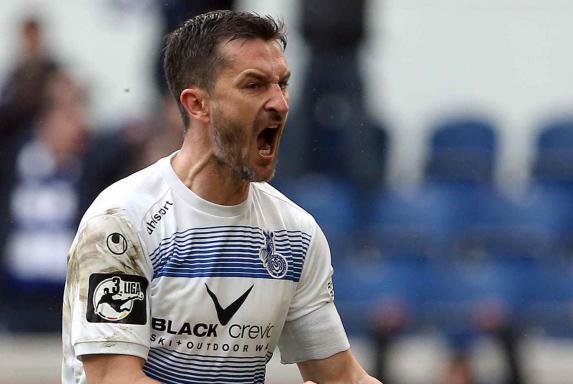 Notes: Club captain Branimir is getting on in years, but what he lacks in pace he makes up for in determination and experience. A tough tackler who is still an ever present after having made more than 200 appearances for the Zebras. Needs to be partnered with a younger centre back who has the legs to track faster forwards. Notes: Currently on the transfer list and not in my plans for next season, I just haven't been able to offload him yet. Reasonable defender but a lack of concentration and determination let him down. Notes: On loan from Leverkusen, Lukas spent last season on loan at our divisional rivals Paderborn where he played all 38 games. With the right training he will be a useful ball playing defender who's future surely lies in the higher divisions. Notes: I signed Lukas on loan from Koln towards the end of last season, making his move permanent this summer when his Koln contract expired. I love a good wingback who gets forward and joins in the attack which is exactly what Lukas does. His dribbling skills need work, however he is a good crosser of the ball who possesses a bit of pace which makes him a threat to any 3.Liga defence. Notes: A left full-back who I am re-training as a wing back to get forward more. Currently a transfer target for 1860 Munich. Notes: Last season's first choice for the right back slot, though that spot will probably be taken by Lukas Klunter now. Fabio is a fairly average player who is decent back up option but struggles with lapses of concentration and a lack of pace which hinders him. Notes: Tough tackling midfielder who can stay deep and protect the defence or roam forward to join in attacks when needed. Struggled with a severe knee injury last season which only allowed me to pick him during the final month or so. This season he should be fully fit and will form an important part of my central midfield trio. Notes: Initially I transfer listed the Alabama native having not used him much last season and not really intending to do so this season either, however the sale of Martin Dausch to Kaiserslauten left me with a gap to fill in central midfield and Corbez is capable of filling it. So I have given him the benefit of the doubt and removed him from the list to see how he fares. Notes: Much like Baris Ozbek, Tim is a versatile central midfielder who can defend as well as get forward depending on the situation. Could possibly be on his way out though as several 2. Bundesliga clubs are interested in him at the moment and sadly the club isn't in a position financially to be turning down any reasonable offers made for it's stars. Notes: A talented young playmaker who could have a future in a higher division (Hopefully with us!) An excellent passer of the ball with a good eye for whats ahead of him. Just needs to work on on his physical attributes as he can be muscled off the ball. Notes: Right winger who proved to be goal threat last season, lacks the pace to power past full backs but does have dribbling ability as well as the ability to pop the ball in the net. Notes: An adaptable attacking player who can play on either flank or through the middle who has joined us on loan from Gladbach. I will be hopeing his workrate improves with some mentoring from one of my more experienced players. Notes: Impressed last season on loan at Lotte from Hoffenheim. I'm hoping that he will keep up his good form as he transitions to us on the left wing. Notes: Central midfielder who can play either in behind the striker or deeper if required. Composed on the ball and with a good pass which is capable of unlocking defences. Notes: A product of our youth system I gave Mohammed his debut last season, he certainly looked comfortable in the first team as a shadow striker, whilst he didn't manage to net his first goal he did manage three assists in his seven appearances, five of which were from the bench. He can expect more action this season. Notes: Hannover loanee who made 23 appearances for defeated play-off finalists Chemnitz last season. Can play either flank or as a striker. Notes: Everton striker who the Toffees procured from Coventry City last January for £750k who the Merseysiders have loaned to us for the season to gain experience. He has pace to burn which should cause defenders at this level lots of problems. It's his first touch and composure we will be working on in training. Notes: Fell out of favour with my predecessor, however he repaid me for restoring him to the line up by netting twelve times in twenty games. A formidable target man who is cable of bringing team mates into play as well as creating his own chances. Notes: Disappointing last season as he is by far the best of my strikers attribute wise, however he only managed the single goal last season. Though it is only fair to mention that virtually all of his 20 appearances came off the bench. I decided to keep him around in the hope he will improve this season. I have a very versatile squad, most of whom can play in multiple positions so mixing things up is no problem, Indeed I may well employ a two striker system so Onuegbu can knock down balls for the pacy Sambou. I think there could be a good partnership between those two. The wingbacks are expected to get forward and overlap the wingers so we have plenty of width, the challenge will be knitting all these new faces together to form a unit that I hope may be capable of mounting a promotion challenge. The talent is there but we must not fall into the same traps of inconsistency we suffered from last time. Although one should never take results from pre-season games too seriously, it's difficult not to gain a sense of cautious optimism after that set of results. In particular the results against Europa League qualifiers Strum Graz and even more so Belgian giants Anderlecht who fielded a side containing the likes of Youri Tielemans, Leander Dendonker and Nicolai Stanicau.